A lot of us are wondering about the typical home inspector salary. To those who plan on pursuing this career or are simply curious about it, typical home inspector salaries actually vary, depending on the type of work, experience level, and location. Those looking for a job that involves construction, electrical, plumbing, and other related functions have a shot at becoming a home inspector. What does a home inspector do? A home inspector is one who’s responsible for examining new and existing structures (usually single family homes) as well as detecting building code violations and structural defects or weaknesses. These include plumbing, electrical, and other components of the house. Most of the time, the inspection is done on behalf of a home buyer or the seller. Many home inspectors are self-employed contractors, offering their services at varying rates and degrees. A home inspector is considered as a part of the building and construction industry. In May 2008, the U.S Bureau of Labor Statistics (BLS) reported that construction and building inspectors have a median annual wage of $50,180. According to the report, the lowest ten percent of salaries were under $31,270 while the highest ten percent is $78,070 or more each year. The employers and the type of work have a bearing on the salary of construction and building inspectors. It was noted by the BLS that individuals who worked for the federal government had the highest median income at $62,120 while individuals who worked for state governments had the lowest at $45,700. In the meantime, architectural and engineering firms pay inspectors a median salary of $49,320. Those who want a higher home inspector salary can pursue certification, membership, and education in renowned home inspection associations such as the American Society of Home Inspectors (ASHI) and the National Association of Home Inspectors (NAHI). There are some schools that offer certification programs and will prepare you for a home inspection license examination. These programs will help you learn about the principles of inspection and how they are applied to major building systems like heating, air conditioning, plumbing, insulation, and many more. You will also learn how to write accurate reports and be introduced to appropriate work ethics. 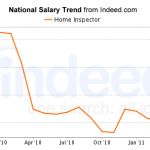 Having a Certified Real Inspector (CRI) license through NAHI is not really needed in a home inspection profession, but it can certainly help you acquire a higher home inspector salary. To qualify, you must complete 250 paid inspections and pass a certification exam. Being a home inspector may be one of the best jobs in the world. It has also been observed that there is a growing number of people who are pursuing this career. Keep in mind that in order for you to achieve a high home inspector salary, you should enroll in some programs and eventually get certified. Getting certified will definitely lead to more clients. This entry was posted in Home Inspector Salary on March 5, 2014 by FindItOnline. A licensed home inspector is trusted more by homeowners or those looking to buy a new home. Having a license means that the home inspector has undergone training and certification. However, not all states require certification or training. For aspiring home inspectors, you have to have a license if you want to be the best in the industry. Getting a license is not difficult. If you went through the courses and programs, then you can definitely get yourself a license. You see, being a licensed home inspector will give you a bigger chance to have a higher salary as compared to regular home inspectors. If you plan to put up your own business or agency, you will need to have something to prove to potential clients that you can be trusted and you work efficiently. A license can certainly do that. A licensed home inspector can assure you that the home you plan to buy or sell will be inspected thoroughly. You should always hire a licensed home inspector. For your assurance and peace of mind, this is very important. Admit it, you will trust a person more if he or she has a license to show you. The same applies to doctors and nurses. Although in their case, it is mandatory. This entry was posted in Home Inspector Salary on March 7, 2012 by FindItOnline. Do you plan to become a home inspector? Home inspection is very important because this allows a thorough property inspection which can unravel some property issues that are otherwise invisible to the average home buyer but can result in hundreds and often thousands of dollars in needed or required repairs after the sale goes through. A home inspector is the best person to inspect a property and the home inspector should have gone through proper home inspector training. Most states have a licensing requirement for home inspectors, so you must first review the requirements of your state before you sign up for home inspector training. There are also a lot of states that will require you to take a certification class or program but you also have to make sure that courses you are signing up for fulfill state’s requirements. There are a lot of online courses available for home inspection training and there are some states that allow or require you to apprentice under a licensed inspector for a certain period of time before you earn certification and license. Before you push through with your plans for home inspection training, you must be able to first check with your state first. You don’t want to study courses or programs that you won’t be needing in the end. Your state requirements will often dictate the path you take to become a home inspector. A home inspector training is very important and most employers or clients will prefer the home inspector who has gone through training. If you are planning to build your own business, it is very important that you are trained because this will ensure a more successful business. In any job fields, training is mandatory. The training process helps a person be familiar with all the things related to the specific job being applied for. This also assures clients or employers that you know your way around the job because you underwent training. Becoming a home inspector today is one of the best careers. In fact, the demand is growing for home inspectors and if you want to acquire the highest salary possible and a good reputation, get yourself a proper home inspector training. It id definitely worth it! This entry was posted in Home Inspector Salary on February 29, 2012 by FindItOnline. Getting a building inspector certification is very important if you wish to pursue a career on this field. A certification will prove that you have all the necessary knowledge and skills for home inspection. Also, this will be the proof employers would want to see when you are applying. Building inspectors can focus on specific aspects of construction inspection or they can specialize in either commercial or residential properties. There are certificate programs that one can locate and they can acquire a certificate or licence by local government agencies upon completion of the program. Building inspector certification programs may vary by school but the curricula and outcomes of each program are alike. There are some programs that focus on preparing students to inspect commercial buildings while others prepare students to inspect residential buildings. Graduates of these certificate programs automatically gains sufficient knowledge of building codes and construction technology to become a certified building inspector. Also, students get to learn the standards published by the International Code Council and they will also receive hands-on inspection training most of the time. Certificate programs can be availed at community colleges and trade schools. It is required that applicants have a high school diploma or GED. Most aspiring building inspectors today aim to acquire a building inspector certification because it promises a brighter future for them. In this particular industry, there is no loss because there are always new houses and buildings being built and there are also a lot of houses and buildings that are undergoing renovation. This simply means that being a building inspector today with a certificate means a lot because you have a bigger chance to earn more money and it also opens up new opportunities for you. So, a great advice for those who wish to embark on this journey as a building inspector, get yourself a building inspector certification. This entry was posted in Home Inspector Salary on February 22, 2012 by FindItOnline. A home inspector job often revolves around investigation of a soon to be purchase home and for your client, this may be the single yet the largest purchase they make. It is true that being a home inspector means that you have to deal with a lot of expectations and there are emotions included in the job as well. As you do your job, there are potential pitfalls that you might encounter and that is why there is a need for a home inspector insurance. If you are inspecting a house that you can access through the floor, you forgot to close the cover and suddenly, the owner accidentally falls in through that cover that you left open and unfortunately, he or she broke his or her arm. The injuries that were acquired as a result of the fall would be a General Liability claim. “It is an insurance coverage that protects and defends professional advice and service-providing individuals and companies from a negligence claim and damages aware in such a civil lawsuit.” One great way to better explain this particular home inspector insurance coverage is that if you as a home inspector, failed to notice a defect during your inspection or you notice the defect but you failed to report it. Either way, it simply means that you have made an errors or omitted something from the inspection. Since both types of perils exist, it is sensible that a home inspector get both types of home inspector insurance. So, when you are looking for a policy, you have to make sure that you secure a coverage that will provide you with coverage for both types of perils that are mentioned above. This entry was posted in Home Inspector Salary on February 15, 2012 by FindItOnline. Are you looking for information on how to become a building inspector? This article will try to provide you with the information you need. A lot of people want to pursue this career, and they need guidance in order to become one. Below are some simple steps that can help you become a building inspector in the best way possible. First, you must contact the building department of your city or county government, or contact a certified building inspector near you and ask about the programs in your area. The issue on how to become a building inspector involves taking courses in order to be certified as well as having a license at the same time. Aside from this, having certification and license also guarantees a higher building inspector salary. Once you’ve found a learning institution, enroll in the building inspector program and obtain the required manuals. When it comes to the tuition, the cost varies from place to place. Now, you have to start reading through your manuals in preparation for the course. It will help a lot if you have a basic understanding of construction, electrical, plumbing and even fire. With regard to training, keep in mind that it is conducted largely on-the-job. In most cases, it is administered by a certified building inspector who will assist you on how to become a building inspector. You may also be required to absorb the text on your own in some programs, which will include learning the building and safety codes and getting up to speed on current inspection methods. The next step on how to become a building inspector is augmenting your training with courses in blueprint reading, engineering, construction technology and drafting. These courses may be offered at a local career or community college, or a university. Now, you must pass all the training requirements, which includes a written exam and trial inspection tests. Next on how to become a building inspector: you must get a liability insurance if you intend to be a self-employed building inspector. If you are planning to work for a company or building department, it will be provided as well. This entry was posted in Home Inspector Salary on November 24, 2011 by FindItOnline. 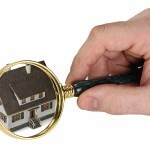 What Is A Property Inspector? Do you want to become a property inspector? If you do, then you must know how it works or what property inspectors do. Property inspectors are generally hired during the home buying process. It is their job to provide information about the structure that’s being purchased. Such information will help the buyer decide if the home or building is worth buying or if it is in a bad condition to the point that it can significantly affect the decision negatively. What are the specific tasks of a property inspector? A property inspector inspects everything that is visible in the property. Inspectors are not held responsible for internal issues such as faulty wiring or plumbing hidden by walls. They usually have a disclosure, listing their responsibilities and what errors or omissions they can or cannot be held accountable for at a later date. What are the items that a property inspector checks? The heating, plumbing, foundation, roof, electric, appliances, air conditioning, doors, windows, decks and patios are all inspected. There are some who will check any outdoor structures and swimming pools as well. It is very important that you let the inspector know everything you want checked before he inspects the whole place. Aside from this, a property instructor also checks for other potentially dangerous conditions of the structure. A random test kit will be left in the basement of the building in order to check what the levels are. If you so desire, inspectors can also check for lead paint. Knowledge of past damage problems in the building is important to determine if the one that caused the damage can happen again. The inspector will look for past water leaks, fire damage and evidence of termites. Termites are evident through small holes in the basement structures. He or she will also advise you if there is an infestation based on the age of the holes. He or she will then prepare a report at the conclusion of the inspection to be given to home buyers. Usually, it will take a couple of days after inspection before it is presented. This entry was posted in Home Inspector Salary on November 19, 2011 by FindItOnline. Do You Want To Become A Home Inspector? If you want to become a home inspector, then this is very easy. However, you must first have some training and maybe take some programs to get a certificate and license to ensure high salary. In order to achieve all these, you must looking for a good home inspection school. To become a home inspector, the first thing that you have to do is have a high school diploma. Aside from this, earn a bachelor’s degree in either engineering or architecture. Although you may be able to find a job after taking home inspection, construction technology, drafting and mathematics courses in a junior college, most employers prefer hiring graduates. However, you must know that there are also self-employed home inspectors who have their own business. This way, they are in total control of their finances and other business-related issues. Another thing that will help you become a home inspector, you must take courses in English along with courses in writing techniques. This is very important since you will be communicating with people and you will need to submit written reports in correct English. Aside from this, you must be able to work under the supervision of a certified home inspector until you obtain your certification. Although this supervised work is an optional step, it’s the best way for you to get experience which is needed to gain certification. In order to become a home inspector, it is very important that you undergo these steps. It’s a process and you will surely enjoy the process as well. However, these are all optional because most home inspectors don’t have a college degree but have a college diploma to present. Other home inspectors prefer to build their own business as mentioned above. It is very fortunate that the market is there for you to become a home inspector. The numbers are growing and the American Society of Home Inspectors of ASHI estimates that 77 percent of the homes sold in the United States and Canada today are inspected prior the purchase. The market is still undeserved and the remaining growth potential is considerable which leaves room for many to become home inspectors, build a career, even establish a home inspection company. This entry was posted in Home Inspector Salary on November 10, 2011 by FindItOnline. 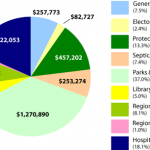 How much is a building inspector salary? First of all, building inspectors evaluate finished building to ensure they conform to zoning regulations, safety codes and contractor demands. The salary depends on the location of the employer. According to statistics report, building inspectors earned a median salary of $50,180 annually. If you want to get a good building inspector salary, the best place for you to pursue your career is in Alaska, the District of Columbia, California, Connecticut and Washington. The salaries in these states range from $62,030 to $70,650. This statistics report is according the the Bureau of Labor Statistics. A building inspector salary is also affected by the industry. You see, a building inspector may work for local or state governments or private companies. It is said that salaries are best for building inspectors who work in non-residential building construction, elementary and high schools, the federal government and utility companies. The wages for jobs in these industries is between $61,370 and $66,200 annually. If you wish to become a building inspector, you will be happy to know that these jobs don’t generally require four-year degrees. A building inspector had either a high school diploma or less and some had college but no degree. There are some states require building inspectors to be licensed, however. It is also said that if you want a high building inspector salary, having a certification and license can greatly affect the salary as this can draw more potential clients. Building inspectors who work for government or private companies receive a full benefits package including health insurance, retirement plan and vacation time. However, building inspectors may become self-employed and in that case, must provide for their own insurance policies. That is why there is a huge percentage of building inspectors who work for government but there are more people who are self-employed which means that they have their own business. This entry was posted in Home Inspector Salary on November 3, 2011 by FindItOnline. Are you looking for building inspector jobs? If you do, then it is very important that you first understand the nature of work. Building inspectors examine buildings, highways and streets, sewer and water systems, dams, bridges, and other structures. It is their job to ensure that their construction, alteration, or repair complies with building codes and ordinances, zoning regulations, and contract specifications. 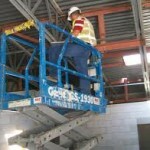 For further information, building inspectors inspect the structural quality and general safety of building. There are some building inspectors that specialize in structural steel or reinforced-concrete structures. Before a construction begins, plan examiners determine whether the plans for the building or other structure comply with building codes and whether they suit to demands of the engineering and environment of the building site. To inspect the condition of the soil and positioning and depth of the footings, inspectors visit the work site before the foundation is poured. Later, they return to the site to inspect the foundation after it has been completed. Looking for building inspector jobs are not difficult because there are plenty of job openings that one can found online, on newspapers and other form of advertisements. Aside from this, if no opportunities have come yet, you might want to consider building your own small business. In fact, most inspectors prefer having their own business instead of being part of a company. Building inspectors are very in demand because of the nature of their work and we all know that every single day, there are new buildings that are being built and it is mandatory that the owner of the building hire a building inspector to inspect the whole building from its foundation towards its completion. When it comes to the salary, it is very similar to home inspector salary. So, there is really no worries if you’re looking for building inspector jobs because it is easy and there are a lot of companies looking to expand their company and hire more inspectors.